The intertidal zone, which lies between the high and low tide marks on the shores of the worlds' oceans, is an especially sensitive indicator of the effects of climate variability and climate change on marine species. Animals and plants that live in this habitat must contend with the ocean environment at high tide, and the terrestrial environment at low tide. As a result, their body temperatures may fluctuate as much as 10° or 20°C over the course of a single low tide. 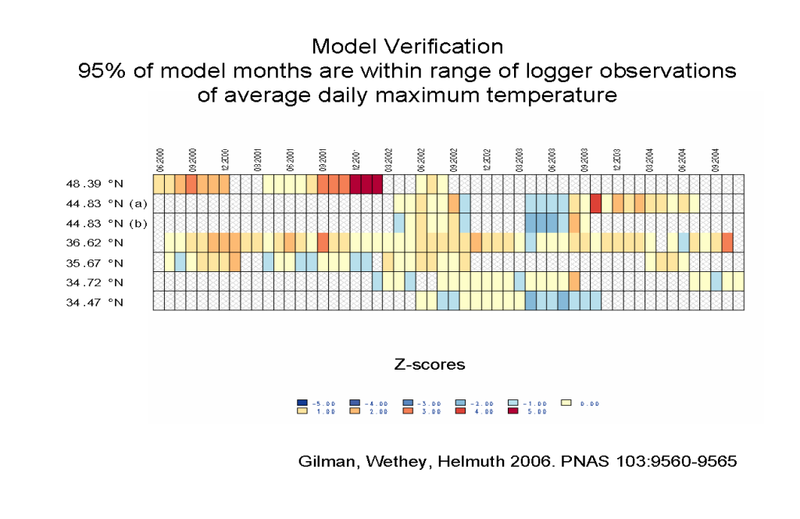 We use biophysical computer models to predict body temperatures of ecological foundation species in the zone between the tides on the shores of the worlds' oceans. The species we study on rocky shores are barnacles and mussels. Barnacles and mussels control the distribution and abundance of other species in the habitat, because they are able to overgrow their competitors for primary space on the rock. Understanding the influence of climate on these ecosystem foundation species will allow us to predict the changes in biodiversity and biogeography of marine organisms in response to climate change and variability. We make hourly nowcasts for both coasts of the USA using imagery from NOAA geosynchronous (GOES) satellites. We make short-term, 7-day forecasts every day for locations on both coasts of North America, the coasts of Europe, New Zealand, northern Japan, and South Africa. These forecasts are derived from weather forecasts produced by NOAA (Global Forecast System and North American Model). 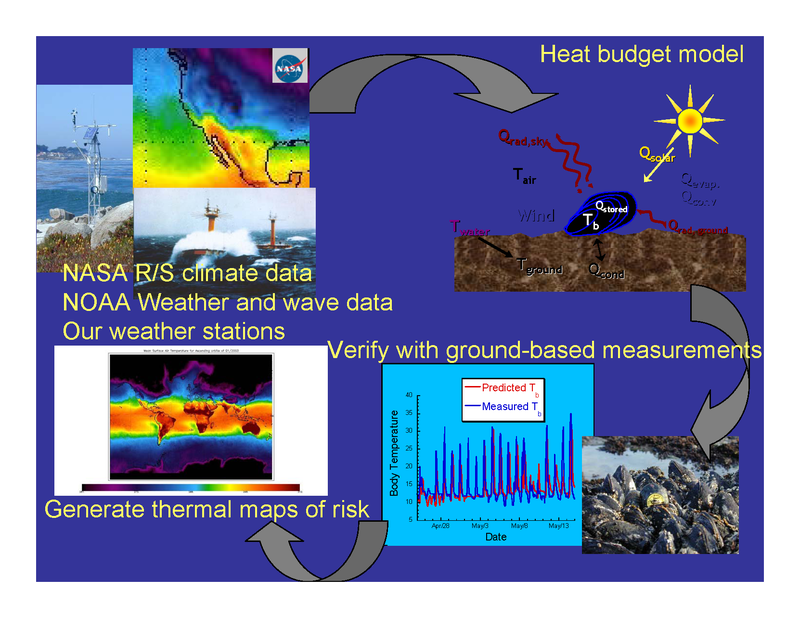 These forecasts are used to produce daily maps of predicted temperatures of intertidal animals. 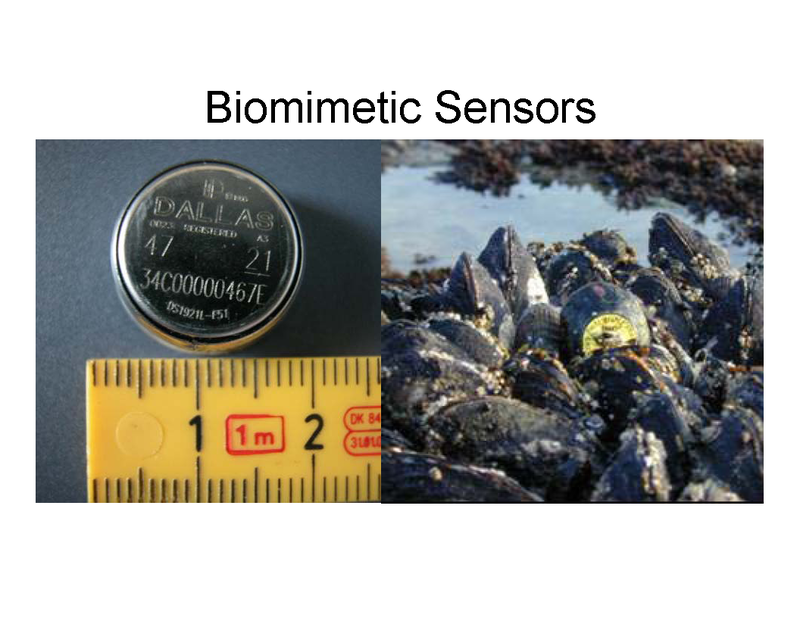 The short-term predictions are accurate to within 3-5°C, based on comparisons of forecasts to on-shore temperature measurements using biomimetic data loggers. 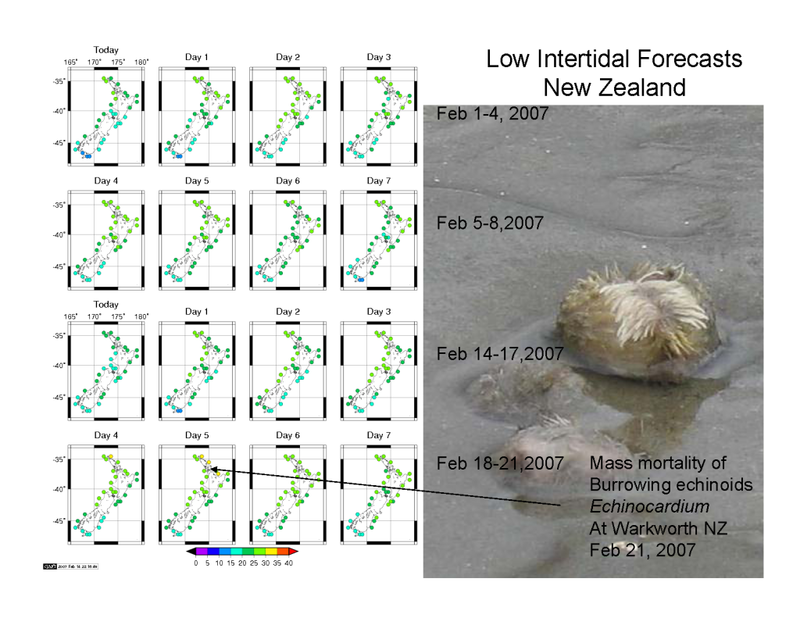 We successfully predicted mass mortality of sea urchins in New Zealand in 2007. We make 8-month seasonal climate estimates for the same locations. These seasonal outlooks are derived from climate forecasts produced by NOAA (Climate Forecast System). The climate anomalies are intended to give a general idea of whether conditions expected over the next seasons will be warmer or cooler than the climatological average year. The climate estimates are not exact predictions of conditions on particular days or weeks, rather they are representative of conditions expected over the next months. Funded by NOAA Ecological Forecasting, (NA04NOS4780264), NASA (NNG04GE43G, NNX07AF20G, NNX11AP77), NSF (OCE1039513, OCE1129401). Copyright 2008 by the Board of Trustees of the University of South Carolina.